Period of creation 2005-01-16 to 2005-02-21. Commission / occasion Commissioned by the Department of Contemporary Music at the University of Music Franz Liszt Weimar (Ger). 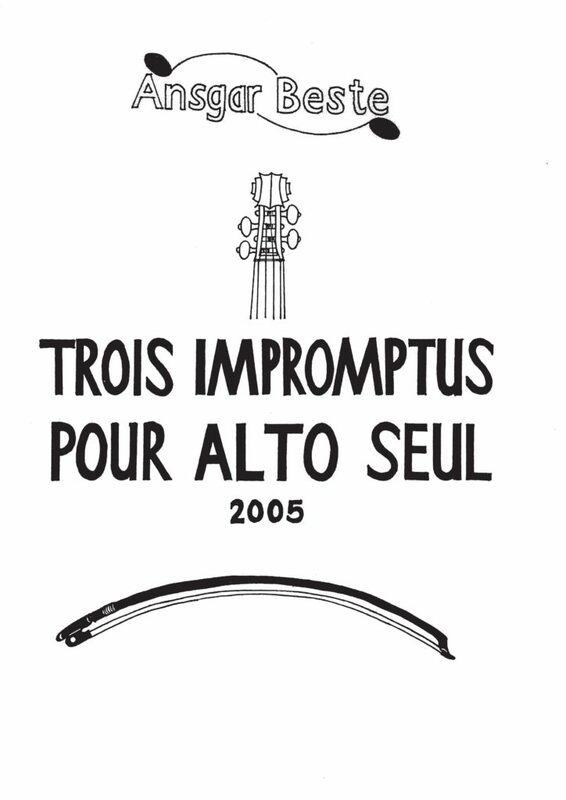 The three impromptus for solo viola are based on material considerations, each with quite a linear formal development and two contrasting performance tech­niques to be treated in interaction. In the first impromptu,an aggressive repetitive ele­ment is confronted with lament­ing microtonal motion, both merged in a process of increasing density and dy­na­mics and at the beginning interrupted by decreasing trills and sliding action. The second impromptu consists of an expressive melody which starts with fla­geo­let tones in the extremely high register to be transformed more and more with growing intervals and dynamics to the very low viola register. After the golden sec­tion, this process is inverted. The improvisatory and playful framework of the third impromptu outlines the contrast between pizzicato and arco. In the centrepiece, the chords from the introduction are developed in a three-step escalation (broken chords, double stops, tre­mo­lo chords) to a climax which is broken off abruptly. 75% Selection for the project Viola in my/our life at the 48th International Summer Course for New Mu­sic in Darmstadt (Ger), 3/4 (2016-07) [Impromptus 1]. duration: 1 min 55 sec.